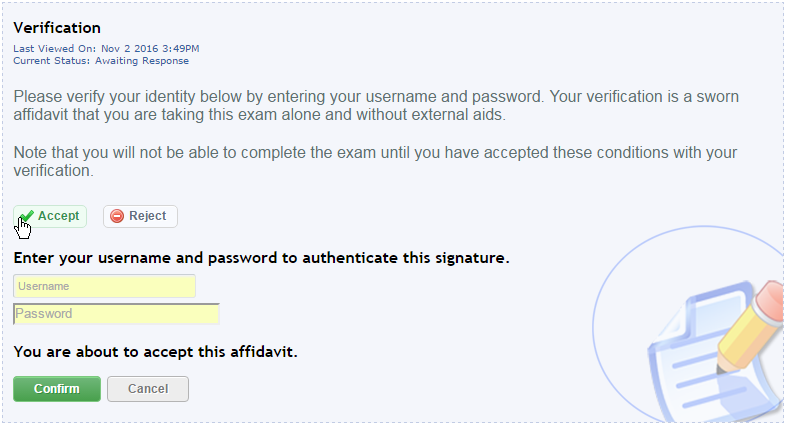 We have added a new feature to affidavits to allow for an additional level of authentication upon acceptance or rejection of the affidavit. Clients can now require an electronic signature for any affidavit. This feature can be toggled on or off upon affidavit creation or during an edit. 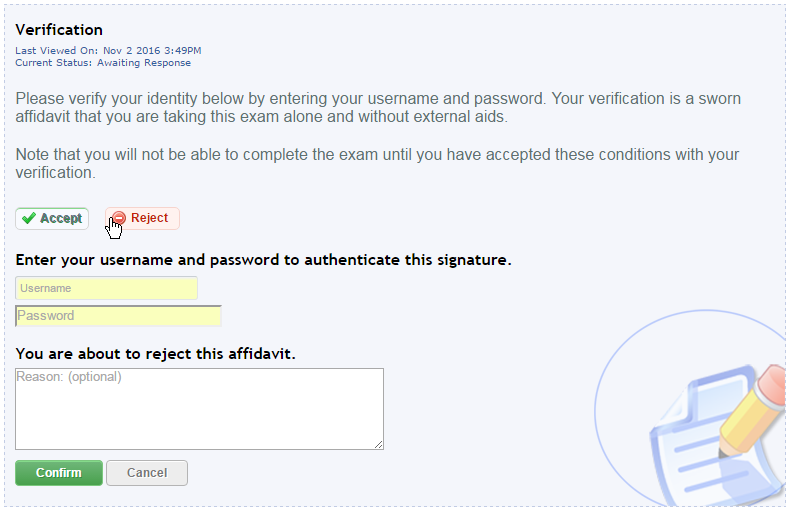 When enabled, the learner will need to authenticate their rejection or acceptance of the affidavit by entering their username and password. To have this new feature enabled, please create a support ticket and request that the Affidavit Validation functionality be added to your site.